BitFi Removes “Unhackable” Claims, Closes Bounty Program and Hires New Security Manager. The decision to ” retract ” was followed by a change of personnel. The team commented that they had hired a new Security Manager, without mentioning the name of the new expert who would be joining the Bitfi ranks. The Bitfi team commented that they acknowledged the existence of “vulnerabilities” but refrained from commenting on the various hacks published on social networks. Several hackers have been able to exploit different vulnerabilities in this wallet; however, Mr. John McAfee apparently used a pun to avoid paying the various cybersecurity experts for their successful efforts. From rooting the wallet and running Doom, to effectively getting the passphrase revealed, Mr. McAfee does not give credit to these hackers. Bitfi said these actions were the efforts of an “army of trolls” hired by other companies like Ledger and Trezor. 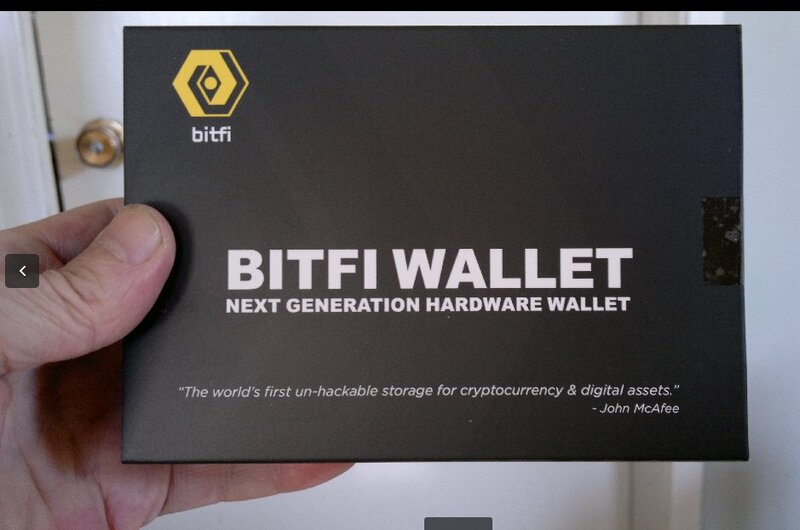 Bitfi has been widely criticized for having no security features that make it better than other hardware wallets. After disassembling it, it was found that its processor is a MediaTek MT6580, a brand of inexpensive components. Such news raised doubts about the price of the wallet, which did not offer any special encryption hardware or any sign of an internal cold storage option. So now we have pictures of the bare @Bitfi6 board. It's just a MEDIATEK MT6580. No sign of a secure element. In a final effort to check for security flaws, Saleem Rashid a young hacker managed to film a cold boot attack in which he obtained Bitfi’s passphrase, ensuring that the same attack could be made from an Android device. So far Mr. McAfee has not issued any comments; however, the Bitfi team assured that they would issue a more elaborate official statement next week.